Posted on November 16, 2018	by Rachel L.
What does it take to meet – and exceed – OSHA fire safety requirements? How prepared are companies for fire emergencies? Company leadership means keeping every employee safe and ensuring the work environment is up to standards. While some particulars will change based on industry, location or size of businesses, others are universal – for example, every facility has to be protected from the risk of fire. The Occupational Safety and Health Administration (OSHA) maintains a series of fire safety regulations. Some of these are general procedures and priorities, while others have to do with specific elements of preparedness, such as evacuation planning and fire extinguisher maintenance. A fire is one of the most dangerous events that can occur in a workplace today. According to the Bureau of Labor Statistics’ data, 32 employees perished in workplace fires in 2016, the most recent year for which figures are available. Preventing these incidents requires a mixture of practices from workplace leaders, ranging from equipment and building management to training and preparedness. Workplaces that aren’t ready to handle a fire incident are liable to face OSHA fines and, if a disaster does strike, preventable loss of life could occur. The primary OSHA requirement regarding fire safety is exits – buildings must have doors workers can use to escape in the event of a fire emergency. Clear exit routes have to be unobstructed and clearly marked by signage to ensure people don’t lose track of these essential pathways during a fire. Furthermore, leaders should teach their workers what to do in case of a fire so there’s no hesitation or uncertainty. Other OSHA regulations vary depending on organizational type. Companies that deal with flammable or otherwise potentially harmful chemicals are required to have plans in place for dealing with those substances. Employers that have fire extinguishers in the building and expect workers to use them must provide training on the equipment, and not assume its use is self-explanatory. OSHA’s safety handbook aimed at independent company owners contains several important questions leaders should ask themselves about their workplaces’ resistance to fire emergencies. For example, leaders should figure out whether the local fire department knows about the company’s location and any specific hazards that might make battling a blaze more difficult. They should also determine if their fire alarms, standpipes and other pieces of hardware are currently sound and regularly tested – this includes outdoor features such as fire hydrants. Companies with fire doors and shutters should also give these assets plenty of attention. Simply having an emergency response system in place is useless if the equipment is in bad condition and prone to failure. When it comes to training, employees should receive regular updates on all relevant protection procedures for the building and any tools available, which includes portable fire extinguishers. Rules and training around these assets make up their own OSHA sub-category. Are offices set up for optimal fire safety? Fire extinguishers aren’t all the same. Different models, as described by OSHA’s online guide, are meant to deal with a host of various problems. Water extinguishers are most suited to everyday goods such as paper, wood or cloth. Carbon dioxide extinguishers are meant for liquids that can catch fire and dry chemical extinguishers are designed to fight fires in electrical elements. Multi-purpose extinguishers can fight all sorts of fires, while there are also tailor-made extinguishers for metalworking environments and kitchens. Fire extinguisher use isn’t something workers should be expected to handle untrained or pick up independently. OSHA stipulates that if a facility’s emergency action plan involves fire extinguishers, the personnel tasked with extinguishing the fire should receive training that will help them stay safe while fighting the fire. Fire extinguisher use should never come at the expense of personal safety – individuals who receive extinguisher training are taught to sound the fire alarm and ensure they have a clear path to an exit before approaching the blaze. There are a range of courses available from training content networks to keep employees informed of fire safety best practices and make sure they deal effectively with any workplace risks they encounter. Since regulations, best practices and essential information vary between industries and settings, the classes are often specialized and tailored to ensure trainees receive exactly the information they need. OSHA regulations regarding emergency planning and fire preparedness. Dealing with hazardous and combustible liquids in the workplace. 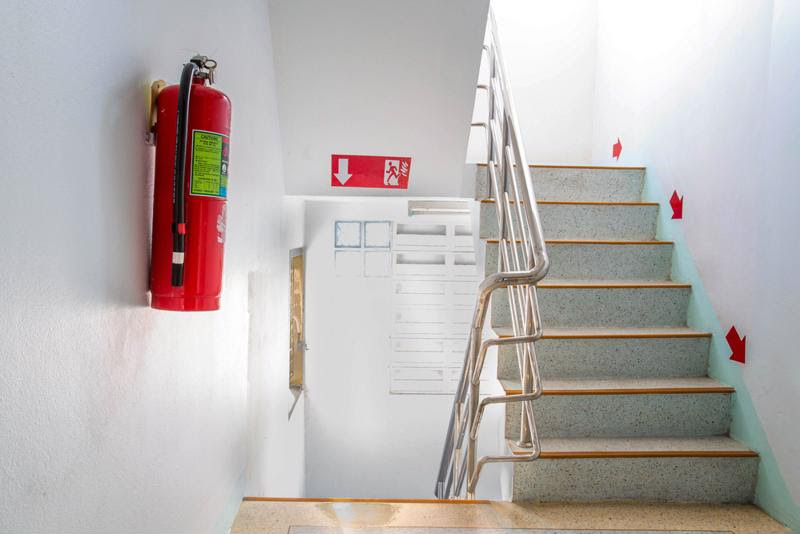 Using fire extinguishers in general facilities, health care settings and more. Keeping laboratories safe from the risks presented by potentially dangerous research materials. When a fire emergency strikes, leaders will be glad they prepared their teams with the proper response plan. Whether that is as straightforward as an orderly evacuation or as complicated as battling chemical fires with portable extinguishers will depend entirely on the type of company in question. The one constant across all these many verticals and business types is the need for preparation. This entry was posted in OSHA, Workplace Health and Safety, Workplace Training and tagged fire extinguisher training, fire protection and extinguishers, fire safety, fire safety training, OSHA. Bookmark the permalink.